What is a Cold Brew Coffee? What is the Difference Compared to Iced Coffee? What are the Benefits of a Cold Brew? Can You Make a Cold Brew with a French Press? 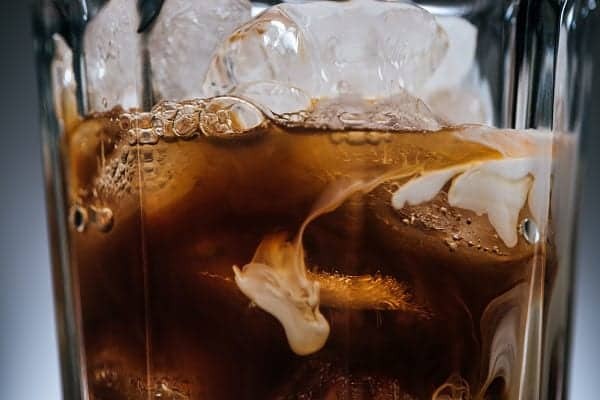 What is the Caffeine Content of Cold Brew Coffee? How Long Should a Brew Steep? Must You Stir the Coffee While it Steeps? Can You Drink this Brew Hot? Who Will Like this Coffee? Have You Tried These Cold Brew Alternatives? Something’s brewing. I guess that’s a pun, but it’s also the truth. Glancing at popular—and I mean world famous—coffee shops’ menus, you’ll see a new addition: cold brew coffee. 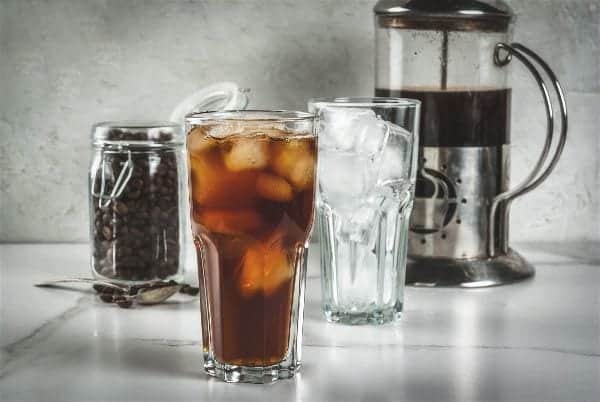 Cold brew coffee is becoming a must if you want to seem trendy and in tune with what customers want. Perhaps it’s because this brew is showing a new side of coffee that’s getting more and more followers. Even if you’re not the coffee shop type of person you can even buy it bottled and take it home to enjoy at your leisure. If restaurants and shops hopped onto the band wagon, shouldn’t you consider it too? This is not cooled down coffee. Cold Brew Coffee is the result of grounds left in water—room temperature or colder—for over 10 hours. Yes, this coffee is actually made with cold water and waiting all that time for it to steep is worth it because you’re left with an amazing brew. Can cold water really give you excellent coffee? Yes! I don’t think you realize how much flavor is packed into each coffee bean. Temperature, timing and texture all determine which flavors are extracted. When you give cold water a chance—which is a longer, gentler process of extraction—you get to draw out acidity and the result is a sweeter aroma than you’re used to. A common mistake is to assume that a cold brew refers to iced coffee. But it’s especially the brewing processes of the coffee that differs and therefore it will taste extremely different to coffee brew with heat. When you make an iced coffee you pour coffee brew made with hot water over ice. So yes, your coffee ends up cold, but the flavors extracted are those that reacted to the high temperatures. 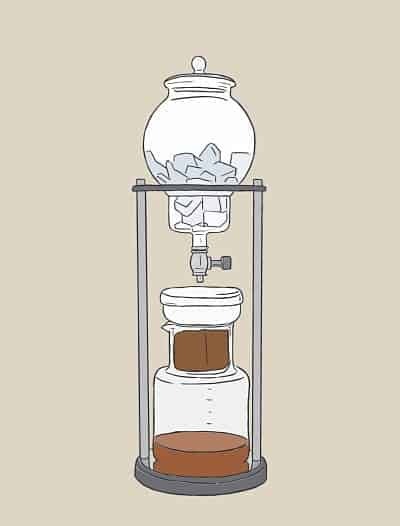 In a cold brew your flavors are extracted with cold water. This unique process results in unique tastes. Below we mention that hot coffee only tastes good for a short period of time. Because iced coffee is made with this same type of brew you won’t always enjoy an iced coffee that stood for 24 hours. It’s quite different with a cold brew. Taste: You get to enjoy the sweetness of coffee and even though all the flavor is extracted the coffee won’t be bitter. Long brewing with hot water often turns coffee bitter, but here you only get the sweetness because bitter components are left behind. Flavor: The process also extracts all flavor from a bean or granule. If you have a favorite bean, you can now enjoy an optimized brew with not only hints, but masses of its flavor. In professional terms it’s the characteristics (from different origins) of coffee that you’re tasting when you drink this type of brew. Less acid: The bitterness in normal coffee is activated by certain oils and acids. These are water soluble, but only at high temperatures. Budget friendly: Yes, you’ll use a lot of coffee grounds (see brewing method below). But do you realize how much coffee (hot brewed) you throw away because it got old or cold? Since you won’t be doing this anymore, cold brew coffee can actually help you save money on coffee beans and grounds. Environmentally friendly: I salute you if you’re trying to help the environment wherever you can. Now you can do it while you’re making coffee because you don’t have to continually switch on the kettle for each cup. Since steeping can take place at room temperature, you technically don’t even need your fridge for this. Be eco-friendly without sacrificing your favorite drink. Easy method: More about this below but this is an easy brew that anyone can do whether you’re a barista or a new coffee lover. You don’t need anything fancy to make this, so it’s easy for anyone to make this brew. You only need coffee grounds and water. And don’t forget the time you need because it takes some time to steep. Firstly it seems a French Press is a necessary utensil for any coffee lover. Not only can it help you make a pretty decent ​​espresso, but it’s the ideal way to make a cold brew. Whether space or budget prevents you from getting the coffee machine you desire, a French Press is a very dynamic Plan B. Below we’ll share three different ways of making your cold brew at home. Don’t start unless you have the perfect pack of beans or grounds. A hot brew tends to hide the less impressive characteristics of coffee. If it lacks flavor you may still enjoy a hot cuppa, but as a cold brew this will simply taste bland. So start off with a high quality, flavorful coffee source. It’s wise to rather visit your local coffee merchants than the corner store. Don’t let a mediocre brew put you off cold coffee forever. You’ll be missing out! Coarsely ground coffee: The grounds can’t be too fine, otherwise they’ll move through the filters you’re going to use to separate the coffee from the water. So if you grind your own beans, pick a rougher texture than you use for your espresso machine. Filtered water: Don’t ignore the first word. Coffee aficionados specifically advise you to use filtered water because of the chemistry that’s going to take place. In filtered water the granules undergo more saturation compared to being placed in normal tap water. This results in more flavor that’s extracted. This is a long, but very simple process, no matter which of these methods you use. The DIY processes are easy, but you may get an even better quality brew if you use a machine. Okay. These ‘machines’ aren’t very mechanical, but they’re designed to benefit the steeping process and get the most out of your beans or grounds. Note that your coffee brew won’t necessarily be ready in a shorter time span. These machines still require hours of waiting while the flavors are extracted. The sealed containers ensure no flavor escapes and that other aromas in your home don’t affect your coffee. They’re designed to keep the brew fresh so you can enjoy it for up to two weeks. The brew gets to steep but when you pour it out it won’t contain any of the granules. You get a clear cup of cold coffee because filters or machine components separate the coffee from the grounds. Some are made of plastic or stainless steel so you don’t have to fear breaking glass as is the case when using a French Press (see below). The filters are usually reusable and washable. Some of them allow for large quantities to be made, so you can cater for your entire family after just one brewing. Some of these machines like the Yama Glass you can find on Amazon, are so aesthetically pleasing that they may serve as décor as well as being kitchen appliances. They’re usually very user friendly. You simply add your grounds and water to specific reservoirs and voila. Come back in about 24 hours (see more about timelines below) and your coffee will be ready. These are handy units to have at home, but don’t feel you have to spend money to get the ideal col brew. A DIY way can be just as effective. Exception to the rule: Some brands manufacture brewing machines that pump (circulate) water through the grounds. This movement shortens the necessary brewing time so much that you can have a decent cup of cold brew after only 15 minutes. The machines mentioned above usually provide directions about ratios. Remember you can always customize it to your preference, but here’s a general guideline. Cold Brew Coffee Ratios: For each cup of coffee grounds you use, use four cups of water. (The average French Press may only take two or three cups of liquid, so change accordingly). Yes, that’s quite a strong brew even when compared with espresso. But remember the chemical reactions and flavors will be much different than what you’re used to with hot brewing. You can now decant the brew or leave it in the press. Because there’s no heat it’s not a problem that the liquid is still in contact with the granules. (This is a problem when you use hot water). It may become stronger, but without heat it won’t go bitter. Always cover your French Press completely when you place it in your fridge or even let it stand on your kitchen counter. You don’t want other food products’ aroma to draw into your brew. Don’t run out and purchase a French Press if you don’t have one. There’s an even easier way of how to cold brew coffee at home. Your mason jar—or most glass containers that can seal well—can work just as well. Don’t use plastic containers—or even metal—since this may affect the brew’s flavor. Simply place the granules and water (quantities as described above) inside your mason jar. Once again you wait around 12 hours and then you can decant the coffee through a filter. Of course if you have coffee filters they work the best. If you don’t want a messy filtering process, are you up to making your own coffee bags? Fasten the bag to your jar’s lid so you can extract it easily upon opening, or let it drift in the water and take it out with a spoon later on. Here’s where the science comes in. Coffee beans contain caffeine and as mentioned your brewing method determines what you extract from them. This also pertains to caffeine. You can imagine with grounds lying in water for such an extended period of time all water soluble particles and chemicals will react. So chances are, after more than 10 hours in your fridge every little bit of caffeine is swimming in your brew. So yes, this is a high caffeine brew. If you love the full flavors, but you don’t want to digest all that caffeine, why not turn the brew into a different drink such as a milkshake. Using less coffee will limit the amount of caffeine you ingest with each glass. Let’s help you get the most out of your brew. These questions will clarify a few things you may be wondering. Let’s look at the labeling on a professional cold brew coffee maker. Even here you’ll see proof that this process is one very much prone to customization. Directions usually suggest steeping time of 12 to 24 hours. That’s a huge difference in time. Tasting the coffee after 12 hours and then after 24 hours will give you two completely different brews. And that’s what’s so tantalizing about this brewing method. You can stop steeping the moment the coffee matches your preferences. You’re not subjected to a machine’s workings. The power is in your hands. As time goes by more flavor comes out, but it also becomes stronger. 12 hours is usually a minimum to guarantee any flavor at all. Other than that you can determine when the process is done. If you’re not in the mood for a super strong brew, simply decant it earlier than others do. Stirring is not a necessity because the grounds must simply be wet to react. However, the coffee connoisseurs do mention stirring, especially when using DIY methods such as mason jars. It could enhance the flavor. Why go through the trouble of brewing coffee ice cold and then reheating it? It actually makes perfect sense. Firstly, yes, you can drink this brew piping hot and enjoy the sweet flavors you created. If you made it really strong you can add hot water to your cup to dilute it. Alternatively simply heat it up on the stove or in the microwave. Just remember to reheat only after you separated the liquid from the grounds. When you heat up the grounds you’ll activate the acidic compounds you’re trying to avoid. If you only heat up the liquid the chances are very slim that coffee particles left in the water will change the taste of the brew. 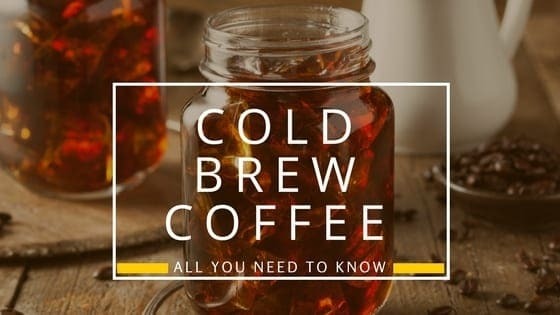 Now you have the freedom to create interesting brews as you can add the amazing flavors of your cold coffee brew to your regular cups of coffee too. And here’s my favorite use of this coffee. During a camping trip coffee is usually bitter and filled with gritty coffee particles simply because you don’t have your favorite tools, filters, machines or grounds on hand. Now you can simply take a sealed container of cold brew coffee with you. It will taste good for up to two weeks (try to keep it cold though) and you can simply heat it up on the fire. It saves you time and effort. What type of coffee drinker are you? Of course not everyone prefers a strong brew. Does that mean cold brew coffee isn’t for you? Absolutely not. While you can customize brewing to suit your taste, the process doesn’t have to stop there. Afterwards you can still change it to your liking. Many coffee drinkers use this process to get the exceptional aromas they love out of coffee beans. But afterwards it’s tailored to perfection—according to what their palates deem perfection—by diluting it. Or perhaps you don’t even like coffee because the ‘bite’ of each sip doesn’t appeal to you. Many people tone down this bite by adding milk or cream to their coffee. If you’re one of these—or you’ve been avoiding coffee—try this with a cold brew. As you can see this coffee is all about customization. 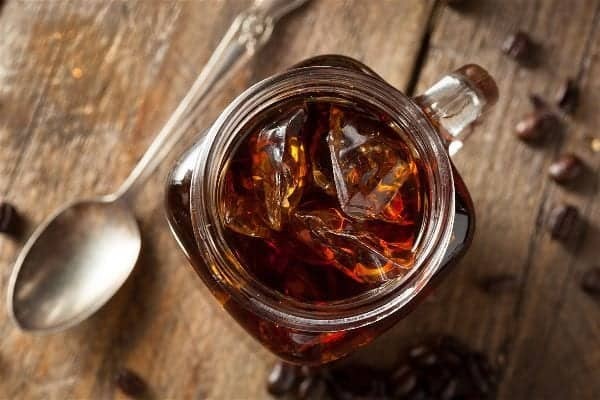 The sweet flavors in cold brew coffee make it perfect to use in alternative drinks. You get rich aromas without having to counter bitterness by adding sugar. So why not use this as the foundation of your cooking from now on? If you’re a coffee fanatic it can now be part of your entire menu. It’s best you start experimenting! Of course humans are never satisfied with the status quo. Not even this heavenly brew stopped baristas from trying new things. You get the rich flavors thanks to a cold brew coffee process. After brewing (steeping) coffee houses keep these brews on tap. When preparing someone’s drink a barista infuses a cup of cold brew with nitrogen. The aroma is still there, but now you’ll enjoy texture too. The infusion creates the creaminess you’re used to when drinking cappuccino and it’s even compared to velvet textures you find in quality beers. Why didn’t we think of this sooner? Or rather, why didn’t we make this popular sooner? The coffee industry luckily caught on to an exceptional drink so we can enjoy it anywhere. But it’s best when you can make it at home, isn’t it? Your kitchen already smells like heaven when you open a new pack of beans or you make an espresso. Now imagine your kitchen with only the sweet aromas and none of the bitterness. You don’t get much better than that. Enjoy! Previous Post 12 Health Benefits of Coffee You Shouldn’t Miss! Next Post Is Espresso Stronger Than Coffee? Find Out Here!